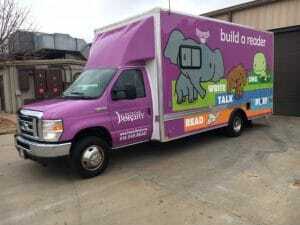 Tulsa City County Library chose a Ford E450 commercial cutaway chassis with 6.8L Triton V10 power for their new bookmobile. The vehicle features Acore white powder coated shelving with a 15° tiltback, 2 Wilsonart laminate countertop areas, custom benchseating, rear access wheelchair lift with 800lb. capacity, interior and exterior audio system with ducking microphone, self checkout station conveniently located near the entry door, Dometic Weather Pro retractable awning and more. 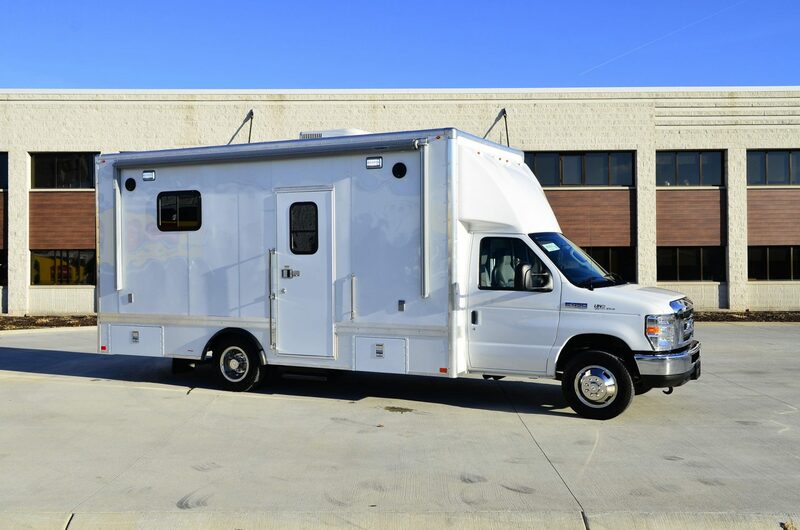 The bookmobile packs a lot of features into an easy to drive, NO-CDL required package.